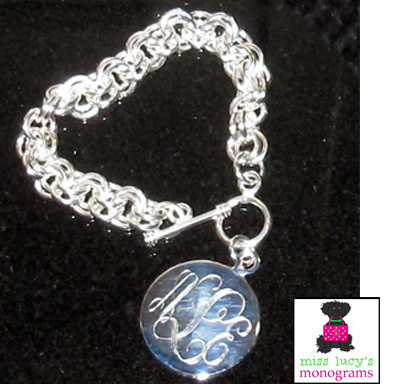 It is a gorgeous metal…it is not silver but very similar, and we have just added a collection to miss lucy’s monograms! German Silver has been around a long time….why is it called German Silver? In 1823, a competition was held in Germany to perfect the process of this metal…trying to get the metal as close to silver as possible. 3 German brothers achieved this goal, and a German manufacturer began making it. In 1830, the German process was introduced to England and German Silver began to gain popularity as an exported metal. and , the best part? THE PRICE!!! 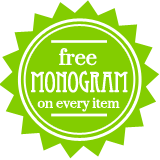 Happy Shopping...look for additional German Silver pieces to arrive!